According to a leading expert, having cold feet can increase the risk of catching colds and flu. Research shows that wearing warm socks, shoes and slippers could help ward off colds and flu, as having cold feet increases the risk of catching viruses. Dr Ron Eccles, director of Cardiff University's Common Cold Centre, has been studying the issue for more than 25 years. He says that many people carry the bugs which cause colds and flu in their nose already, without it causing symptoms that make them ill. But if the temperature of their feet drops, it causes a change in the whole body which leads to their nose becoming cold. This increases the likelihood of a full-blown cold developing. ‘Chilling the feet causes the blood vessels in the nose to constrict,' he explains. ‘It’s a protective reflex action which slows down the loss of heat from the body, to try to keep you warm. Your skin goes white, the inside of your nose and throat goes white and blood flow to the nose is reduced. ‘The white cells that fight infection are found in the blood, so then there are fewer white cells to fight the virus. Being cold also slows down the movement of the cilia - hairs in the nose that filter dirt and germs - allowing the virus to get into the body’, he added. Walking around the house with bare feet and the heating off could also increase the risk of catching a cold. ‘If you can’t afford to catch a cold - for example if you’ve got an illness like bronchitis - you should keep your nose warm in winter, wear warm shoes and don’t let your feet get wet,’ Dr Eccles said. 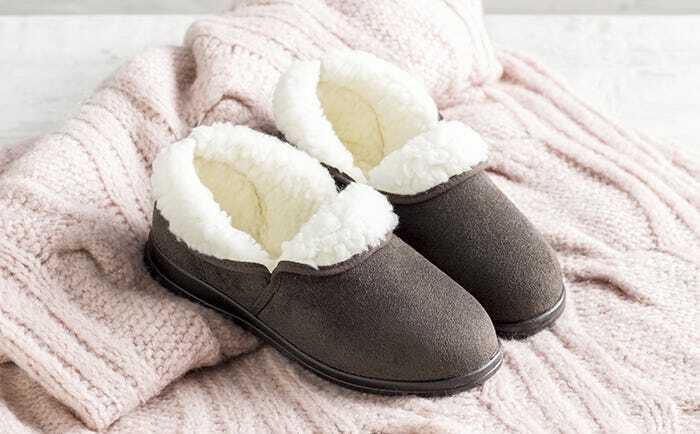 Take a look at our range of men’s and women’s slippers and our range of warm socks and warm hosiery. We also have a collection of 100% waterproof footwear for men and women.